JuKii has started a donation pool! Thank you very much for favoriting my works~! It means a whole lot! So sorry for the lateness,. Thanks for the llama it means a lot. 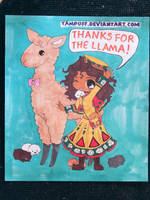 Thank you for llama~ Have a nice day! Thanks for the llama!! Great page! 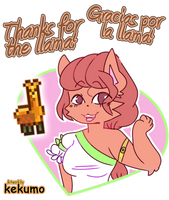 Tank chu for le llama!